Telecom Knowledge Based Enterprise (TKBE) is knowledge Management Framework used eTOM as Driving Objective of Knowledge Creation Dynamically to exploit market opportunities and neutralize threats with competitive advantages values (Resources and Capabilities). All structured activities to improve organizational capacity is force to provide problem solution and future suggestion to avoid silo data and information’s problem and provide required knowledge readiness, integrated and align to support key process where product and service are delivered to satisfied customer to create growth and productivity. eTOM have fifth level of processes as shared context to create new knowing how and stored to enterprise’s asset in eTOM critical knowledge taxonomy. Read Professor Nonaka speak in thailand …. Knowledge is subjective, process relational, created through practice and aesthetic with continuous round trip between the subjective and the objective, moving toward the truth in certain space and time of dynamic business environment. Telecom and IT Service have their own standard and framework as a part on “knowing How and why” of Learning Telecom Enterprise. Integration and create relational in dialogue and practice shared context between eTOM and ITIL (IT Infrastructure Library) will create differentiation processes of “Capabilities to Deliver” Product and service to customer based or SLA Management. All of this will start in SECI Knoweldge Creation from individual knowing how to group, organization with different shared context and achieve quality standard in ICT environment. 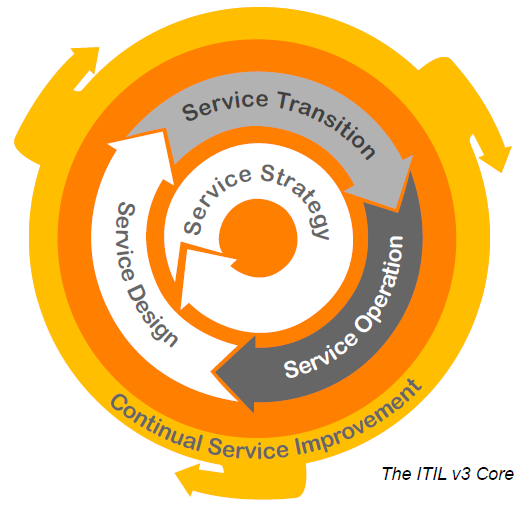 We can use integration approach both of eTOM to ITIL or from ITIL to eTOM sides as complement entity or lower processes level to assure IT Service delivery. eTOM do not standardize in 4th and 5th level dealing with enterprise differentiation and value judgment “near the truth” of strategy initiatives that can be filled with ITIL best practice’s objects in Working instruction to manage IT Infrastructure, Shared Information Data (SID) appropriately to convert idea to cash as innovation with knowledge creation. eTOM and ITIL: Should you be Bi-lingual as an IT Outsourcing Service Provider? Jenny Huang-BP Trend 2005.
implementation for ITIL CMDB (Configuration Management Database), Ontology/Business Semantic based process discovery, and how to apply OMG’s Model Driven Architecture (MDA) specifications to accomplish these tasks. Read IT Process Orchestration Revisited and Data Center Automation Blueprint (DCAB). Read and Download PDF ITIL Resources from ITIL Training Zones …. The Introduction of “The Blackwell Handbook of Organizational Learning and Knowledge Management by Mark Easterby-Smith and Marjorie A. Lysles” gives us knowing how to make difference between Organizational Learning and Learning Organization, Organizational Knowledge and Knowledge Management. All this terms make people confuse to create “why pyramid thinking” for Creating “New Knowing How” in Knowledge Creation Process. This framework push business practitioners to avoid silo academic knowledge to be applied in creating new knowledge from individual to inter organization ontologically with SECI Process. Most of them using proven Knowledge Management Tools to implement solving problem and suggestion initiatives with training program and internalize this knowing what to Enterprises Knowledge Asset with their own learning process. Because Knoweldge or knowing how can not be copied and pasted to the enterprise culture directly from customer and competitors. 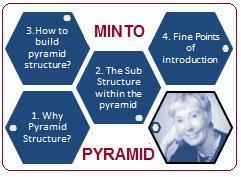 Read “using pyramid logic” in Writing Winning Business Proposal of Google Books …. Organization Knowledge Creation (OKC) is Organizational capacity in creating new knowledge and disseminate it through all organization and embodied it in products, service and system part of Knowledge Management as any structured activities that can improve organizational capacity to acquire/create, sharing/use knowledge that can improve the organizations process to survive, Grow and sustain. Download Read Fifth Discipline of Peter Senge Learning Organization pdf ….